Darlinghurst Chiropractic Centre would like to introduce their latest therapist to join our team. The clinic is conveniently located close to Central and Museum train stations and a short walk from Hyde park and Oxford street. The clinic also offers chiropractic, acupuncture, cupping, traditional chinese herbal medicine, foot orthotics, infrared sauna, dry needling and cold laser therapy. 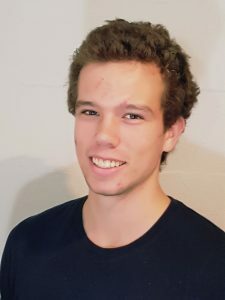 Graeme is a fully qualified remedial massage therapist and is also currently studying Sports Medicine at the University of Technology Sydney. He uses posture analysis, gait analysis and functional testing to assess the cause of a problem. He is a strong believer in a holistic approach to rehabilitation, combining PNF stretching, foam rolling, kinesiology taping and strengthening exercises along with deep tissue massage and trigger point therapy to improve muscle function and joint mobility. Graeme has a diverse sporting background such as rugby league, touch football, rock climbing, olympic weight lifting, water polo, AFL and soccer.